Tom Herstad’s Love, Care and Share is a love letter to all mothers who have treated their family, friends and all those in need with compassion and understanding. Reading about Tom’s mom Margie’s life is akin to reading and vicariously experiencing a spiritual master’s life —though a single, widowed mother of four children, she opened her home to the less fortunate so that troubled teens, homeless people and a drug-addicted biker could experience what it’s like to have a home and a family. In our troubled times, we need to acknowledge and pay tribute to the Margie Herstad’s of the world — which is what Tom Herstad does so beautifully in his meticulously crafted novel. I read Love, Care and Share and it touched my heart. After my read I contacted the author to come and meet with our book club for an interview. He did and the story about how this book was started, published and now being made into a motion picture was riveting. I recommend this book to all. Tom Herstad has done a lovely job of sharing with us the amazing story of his mother, Margie, and his family in Love, Care and Share. I highly recommend this book for any individual or family wishing deeper and more loving connections with each other. Tom’s writing about his mother Margie’s life is unforgettable; you gotta get this book Love, Care and Share! His sister, Julie Herstad, has been involved in writing the screenplay for the MOVIE… WOO HOOO!!!!! To be produced in Toronto! DREAMS DO COME TRUE: WORK YOURS! TOM DID. I read Love, Care and Share in one sitting. I couldn’t put it down. This book came to me at the right time! This author has written a beautiful memoire of a life well lived. Clearly his mother Margie was a light in the life of many, despite an ever changing landscape of life and family challenges. Tom’s tribute to his mother is personal and yet it has many lessons and messages to pass on to those of us who didn’t know her. I know all will take away a memorable saying or story from this book and use it in our own lives. A book is a tool that can be used as a pointer for the reader to look within, but not every book does this. Tom’s book, Love, Care and Share does this and can be used to enhance one’s life. I just finished reading Love, Care and Share in its entirety. I was only planning on reading part of it but I could not leave my chair. I cannot express the emotion I feel right now, maybe that will come later. My heart is overflowing and encased with gold… is about all I can say right now. I found so many similarities during this read, most of which I knew nothing about but is clear to me now. So many answers have come, and most likely, more will present themselves in the days ahead. Synchronicities, feeling the energy, “Celestine Prophecy” which I live by. Love, Care and Share is such a profound legacy. That’s just a tiny tad of why your story was so overwhelming. to love, care and share by the impossible to miss life principles of his mother. For even though Margie Herstad, who inspired this story , did not always have the easiest life she did not allow those troublesome experiences to alter who she was at heart. She remained caring, always seeking and finding the good in everyone. that we are all works in progress. Thank you for a truly heart – connection read and so openly sharing this poignant story! After reading Love, Care and Share for Book Club, I had the pleasure of meeting the author, Tom Herstad. I was deeply moved by this book. Tom’s love of family is unique and inspiring . 5 Stars – An Amazing Read! Love, Care and Share was such a delight to read and refreshing to hear about a woman who truly lived by example. This inspirational story is heartwarming, emotional and meaningful. Our lives are touched by so many, and Margie knew how to make each moment count. I never met or knew Margie, but feel that I should pay it forward. Life is truly a journey that we have choices on how to interact with others, after reading about her story I now think, “What would Margie say or do?”. Thanks to Tom and his family for sharing her story in this book. I read Love, Care and Share on my way to Rochester with my family. Sitting in the back seat for our 6 hour drive I was captivated. I did not want to cry in front of my daughters but could not contain myself. This book touched my soul! After reading this memoir, I felt as if I had made a new friend. Margie truly was a beautiful soul. I enjoyed reading about how she helped others in her life, especially when she offered others a place to stay at her home. Her kindness also expanded to animals. I liked that she helped Teddy with her puppies, allowed the blue jays to nest in the mailbox, and provided the hen with fertilized eggs so she could hatch a brood. There were many lessons to learn from the way Margie lived her life. For instance, I really admired the way she wanted Reigan to own his identity. She explained to him that he was ahead of our time because he represented the color we will all be one day. I was surprised when I learned that Reigan was part Trinidadian because I was born in Trinidad, and I still live here. Margie’s ability to sense the energy of people was intriguing. I was astounded that she could feel the negative energy of Auntie Ann’s ex-husband. Moreover, her ability to help others die peacefully was very touching. I think she was extremely gifted. The book ended with a series of Margie’s messages and sayings. This was a lovely conclusion. 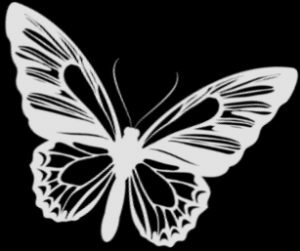 It was incredibly moving when the author saw the two white butterflies which represented his parents, and later he received a photo of a butterfly from Chris, Margie’s psychic friend. I also admired how the author learned to help others just like his mom. Somehow, she seemed to be helping others through him, like when he received the call about the death of Warren. This indirectly helped Gavin, her grandson, to stay focused on his recovery and to stay committed to turning his life around. I started Love, Care and Share at midnight and finished it at 2:20am. Could not put it down! What a vulnerable and open account of a real, loving family. Beautiful. The world is ready, desperate really, for feeling a connection to God in ways that free us, connect us and teach us to love. The timing of your book is impeccable. I could not put this book down. Read it cover to cover! Love, Care and Share – “A Message for All of Us” is a written tribute to Mary Margaret (also known as Margie), a phenomenal woman who lived a life of service to others. Her generosity, kindness, and love shine through all of the pages in this book. This heartwarming memoir is penned by Tom Herstad, Margie’s son. It consists of detailed anecdotes of her life, including stories of the people whom she helped, and those whose lives she touched in some way. Margie’s legacy lives on through this book. Like her, it will continue to teach, inspire, and encourage others. I enjoy reading memoirs because they present fascinating insights into another soul’s experience here on Earth. I always feel like I have met someone new after I finish reading them. When I completed this memoir, I felt as if I had made a new friend. Margie truly was a beautiful soul. When I read about how she offered others a place to stay during difficult times in their life, or looked after their kids, or helped others to die peacefully when their time came, I felt a deep sense of awe and admiration. Her ability to sense the energy of others around her was extraordinary. I think the author perfectly captured Margie’s motherly personality together with her beliefs, and her unique way of life. One of the most distinctive features of this book was the multitude of life lessons one can learn from it. These were not directly apparent, but readers can easily pick up on them from the anecdotes that described Margie’s life. For instance, there was a beautiful description of how Margie wanted the author’s son to own his unique identity since he was a mixed-race child. She explained to him that he was ahead of our time because he represented the color we will all be one day when all of the world’s races eventually mixed. Margie was also courageous enough to end her second relationship because it was not beneficial to her alcoholism recovery. Furthermore, her caring nature expanded to animals. She cared for dogs, birds, and even a wild hen that wandered into their premises. The author included several photos in the book. I appreciated looking at these because I was able to link faces with the names that were mentioned. It was nice to see what Margie looked like since she was the main character in the book. Additionally, some pictures brought a smile to my face because they were so endearing. One example was the photo captioned, ‘Visiting Grandma’s Together’ which depicted a group of happy kids. There was even a photo of the chair which Margie used to assign timeouts when she babysat children. The author also shared pictures from his childhood, such as when they went fishing with their father. These pictures gave fascinating insights into the author’s life and his memories. This memoir had an excellent layout. The anecdotes were properly titled and sorted into chapters. The text-to-image ratio was fitting for the book as it made it interesting and easy to read. I believe the book was professionally edited since I only came across a few minor errors like typos and missing quotation marks. In conclusion, I am awarding Love, Care and Share 4 out of 4 stars for its inspirational account of Margie, a remarkable woman that graced the Earth with her presence. This memoir will appeal to readers who enjoy reading true stories about motivational people. Those who have lost a motherly figure in their lives may also find solace in reading this memoir. I have had the privilege of meeting Tom . I felt a sense of humbleness when I introduced myself to him . We got to talking and found out he was an author . After him sharing with me his story I asked if he had his book with him and I wanted to see it and then bought it . Within a few hours I was captivated and haven’t been able to put the book down . There are so many similarities that I felt as I began to read his book . I look forward to seeing how the story ends …. One of the most inspirational books I have ever read! When I came across this book Love, Care and Share I didn’t know if it would be my kind of thing, but as soon as I starting reading it I got hooked.The writer has a welcomi ng style as if he’s talking to me directly. His mother seems to have been quite a strong and loving woman who left such a big impression on friends and family. I write this in honour of Margie Herstad. Margie had a gift of seeing the butterfly in a caterpillar. I read it and loved it. This book touched my heart. This Book Love, Care, and Share is such an Empowering book, I really encourage everyone to read this book. It will touch your life in some way or another. It is a very Humbling true life story. What an amazing woman Margie was; she makes me want to strive harder and be greater in this life. This book touched my heart, and filled me with such Joy, it had me laughing and crying, and wanting to know more about Margie. Thank you Tom for writing such an extraordinary book. This charming, heartwarming book brings us back nostalgically to a simpler, gentler time. A time where people and families listened to each other. When they shared, solved and absolved the inevitable ups and downs that life brings. Through it all we come to know a remarkable soul whose wisdom predates her time. The value in this story is not the trip down memory lane for a simpler day and time but the juxtaposition of the now generation who communicate not in words and feelings but through texts, emojis and enhanced selfies. This is the generation that needs to hear the message that we are more than our technical devices. That we need to get back to a place where we can learn and relearn to Love, Care and Share…….authentically. Great read on the real meaning of life. It takes us back to what’s important and missing in today’s world. Stories that should inspire how we all have it in us to help do a little more for others. A very giving life. I met this author at a book signing at Chapters. After reading Love, Care and Share I returned to the store to buy more copies for those in my life who came to mind while I read this book. I am an avid reader and I recommend this book to all!!! Please read Love, Care and Share as it will make a difference in how you feel. A great “pick me up”. I LOVED it! Thanks to the author and write on for us who love to read. Tom, the reading of Love, Care and Share brought many memories back to me of how it felt to have Margie in our lives. The house on Tannery was a home that was so welcoming. Margie made you feel like you belonged there, at any time. From Day 1, my boys and I were always made to feel like family. Reading these pages made me feel that strong love, loyalty and compassion, that was Margie. I am also happy you shared Warren’s story, he will never be forgotten and we were so lucky to make wonderful memories with him in this life. Keep up the awesome work you are doing. You too, have always made a difference. Inspiring in a time of hate and disorder when no one is taught to care for their fellow man. Love, Care and Share is a lift of spirit to all. Needed when you are hurting and lonely and need to remember you are not alone so smile and give another a lift in life. This book is so inspirational. I enjoyed reading and was touched by your writing. It was an amazing story about Margie. She spread Love, Care and Share. On several pages I got emotional as this book reminded me of my Mother. I love the poem you wrote to your Mom. Margie was someone special, someone unbelievable. And she had her own problems in life. She was a miracle. I really liked the book about her life, her teachings, her Love, Care and Share. I feel like I have know her now as she spread her energy through this book to her son and onto me. Such a selflessness is unbelievable especially now days when everyone cares for himself/herself only. I wish more people could be like her — I want to more like her, share her love and care. I received Love, Care and Share through a Goodreads Giveaway and believe it was a Godincidence. Love, Care and Share is an inspirational read about a remarkable woman, mother and mentor, a joy to read! Thank you Tom for sharing your beautiful stories and insights and the gift of your book! I wanted to let you know I just finished the book. I have to share with you my experience of reading your book while it’s still fresh. First off, I have to tell that I have carried your book with me everywhere I went since you gave it to me. I would read it whenever I could, even if it was half a page while I waited in line at the store. I have not felt this way about a book in a very long time. My purse quickly became its home, as it followed me everywhere I went. I could feel the essence of your mom throughout every letter in the page. I wanted to continue feeling her, to continue getting to know her, to continue feeling inspired by her. I felt a certain comfort and warmth as I read each page. I began to feel like I couldn’t wait to ‘meet with her again’ every evening in anticipation of reading her story. Despite not knowing Margie, I feel I felt her through your words. She sounds, and feels like an incredible woman, whose presence profoundly impacted everyone she encountered by just being herself. I wanted to thank you from the center of my heart for speaking with me at the end of my mom’s driveway and giving me a copy of your book that day. I have experienced many shifts within as a result of reading Love, Care and Share. I have been able to find the courage to let go of some heaviness I have been carrying around for a very long time. I feel as if I’m starting a brand new chapter of my life with fresh eyes, and a lighter heart after finishing the book. Thank you so much again Tom! I have no doubt meeting you at the my mom’s that day was a Godincidence your mom also helped facilitate. Margie made kindness her lifestyle. Beautiful, generous and strong. Her life is a lesson for all of us. I thank you for sharing her story. This is a nicely composed memoir with an enduring message of unconditional love. It takes great courage to love well and this book, Love, Care and Share, shows us the way. Highly recommended for all. A memoir written by a son of his late mother…this book is a cut above in quality of writing and storytelling to what commonly might be written as a memoir of an extraordinary parent. For me it is always interesting to be taken into the real world experiences of other people…to hear their voices and to see their insights through their eyes. Tom Herstad grew up in Canada, played ice hockey, and developed a love for fishing and the outdoors. I grew up in Southern California, surfed, and am a city-kid at heart. While Tom knows the ins-and-outs of the outdoors in North America…I know the ins-and-outs of the beaches for surfing up and down the California coast. So in this sense the book was an interesting read. But the book is about his mother…and it does a very good job of painting the portrait of a very giving and caring person…having an open and inviting house where the neighborhood kids could gather and feel accepted and welcome…but also having a worldview that had the moral structure of reaching out to help others according to the title of the book…Love, Care and Share…which is a good rule to live by for anyone. I enjoyed this book and would recommend it highly. I started reading Love, Care and Share just after 7 pm and it’s now 9:20 pm. I was deeply drawn into it and it was like being with Margie again, only through your eyes and words. For these past few hours she “Lived” again. Thank you for that. It was an emotional rollercoaster, I didn’t expect to cry so much – and yet I did. It’s a beautiful book, a heartfelt declaration of love and gratitude from a son to his mother – an extraordinary woman who changed so many lives with her caring and selflessness, even though she had her losses and her problems too. Margie was definitely a great woman. Love, Care and Share is the portrait of a family, with all the qualities and flaws and the good and the bad that come with it and it’s also inspirational: I felt that love myself and when I look at my parents – especially my mom – I understand what they’ve done for me and what they still do. I’m lucky. The raw emotion expressed comes through vividly, about a Son’s Love for his Mother bringing her life into meaningful events and wanting her to be remembered as someone many of us Loved. I have often said to others that we go through life never really seeing others and ourselves but for our outer shells/bodies, instead of seeing the real entity that we are; which is the Soul. Margie saw the Soul and therefore was able to love as she did. I can’t tell you how much I enjoyed reading about your Mom in Love, Care and Share. It was amazing and the stories just made me sorry I didn’t know her myself. She must have had the biggest, kindest heart. Her willingness to give her time and her home and anything else which was needed made her very special indeed. You must miss her terribly. Your writing was lovely and by the end, I felt as though I knew all of you in a way I hadn’t before. Thank you for sharing it with me, my friend. This book Love, Care and Share book is an amazing story about an amazing woman and family. Must read! And I wish I could be half the woman she was. I want to say one thing now that I have read Love, Care and Share. I too, love Margie!! As I’m writing this to you I am blubbering. I don’t know if you remember me. I’m Wendy, who used to work at Justinos, who you were kind enough to give me your book and sign it. You and Jules were two people that from the instant on meeting you, had a profound impact on me. Both of you with your kindness and warmth has never left me. Well I’m writing to tell you that today July 1st 2017 the 150th anniversary of Confederation, everybody sing together!!!! I made the decision to read your book, Love, Care and Share today. Front to back. I know it took me a long time to get to it, considering you gave it to me last fall, but I really believe I picked it up to read it now for a reason. Tom, I don’t know where to begin. What a beautiful loving heartfelt and healing gift you have given the world !!!!! There are sooo many relatable pieces to my life and yours, that I was almost convulsing with emotion. I wish I had had the opportunity to talk to you about your book. How I wish I’d had the pleasure of meeting your mother in my lifetime. The overwhelming Love, Care and Share is how I live my life. The similarities of the anecdotes you share about your life and your mother’s and my own are insanely similar. A few examples apart from the obvious, my home is where all my children’s friends come to feel peace, sleep or eat and get advice with absolutely no judgment. Whatever I can give, I will try. My grandmother lost her leg to gangrene when my children were young, and my connection and my mother and hers to me, were overwhelmingly similar to your mom’s and yours. My daughter was visited by white butterflies, as I was, shortly after my grandmother’s death various times, and we felt her and heard her in my mother’s home after her passing. We also dance in our home and live by your mother’s creed almost daily. I agree with everything she believed in and only hope to continue my own path in her footsteps. With this book, I no longer feel alone. I always felt like I was being soft or “too good” as people often tell me, I do the things I do because we are all out here by God for a purpose. And mine is much like your mother’s as my grandmother’s before me and my mother’s, too. I cried through the whole reading of this book and felt such joy and calm. Thank you above all, Tom, we were meant to have that conversation on my porch that day. Your mother led you to me because it was the right thing for me. Even never having met her, she made her presence known to me; she’s truly an angel and still touching lives even after she is gone from this earth. I will continue to be true to myself and live by your mother’s philosophy. Her story solidifies my values and my heart. Thank you most of all for ‘sharing’ her with the world. What a lovely gift you have given me, to us all. Not just a lovely and loving testament to a woman who was your mother, and a love of so many others who crossed her path. This is a beautiful collection of stories that over and over soften and opened my heart, moving me deeply. To hear of how one woman kept prioritizing holding people in love, again and agian….and of some of the profound ripples it created in the lives of others – yours, Tom & so many others. It left me soft-hearted and hopeful with each story that I choose to read in one or 2 story bites at a time to saviour the whole collection over more than a month. Thanks for choosing to share Love, Care and Share for oh, so many reasons. Finished this book in one sitting, cover to cover. Once I started I could not put it down. Well written and a wonderful tribute to your mom. I am sure she is very proud of you. Wow! What a lady. Just imagine if every family had one. Thank you so much to the author for sharing this book. This homage from a son to his mother is very touching, revealing and yet uplifting. It reminded me of Frank McCourt’s Angela’s Ashes and in a more poignant way Elisabeth Gilbert’s Eat, Pray, Love. It’s a quick read and you’ll feel inspired to look at your life and appreciate it and help others around you, too. Thank you for letting me in on such a personal journey. My mother, too, became a widow at 38, when my father passed away at 42. I felt the pain your family went through, and you, especially, because we were the same age. I have learned many things from this book in order to heal – be better, do better, love more. Your family is an inspiration, your mother epitomizes the true meaning of empathy and compassion. This book is one of those gems, reminding us we are never alone. Paulo Coehlo said “Tears are words that need to be written” Thank you Tom, for bringing this book to life! Tom Herstad’s book Love, Care and Share is one of the more authentic writings I’ve encountered, filled with real-life stories of family struggles and victories, while highlighting the role of a mother who’s compassion and integrity was the true core of the family. I had a hard time putting it down, and you will too. An uplifting and encouraging read! My partner handed me Love, Care and Share and said, “reminds me of your mother”. I couldn’t put it down. Thank you for writing about your mother and reminding me that we need to talk about the wonderful women in our lives (past and present). They give so much to the world that should be acknowledged. My story and journey began 20 years ago when my husband died suddenly, followed by the death of my seventeen year old son when he collapsed at his hockey game. Then came my father in law’s death; all three generations gone in a short five month period. Even our family dog was taken the day after my son’s funeral. How ever could I go on? As you Tom share the story of butterflies in your book, I too have a strong connection to this beautiful creature. Just as the caterpillar thought the world was over, it became a butterfly. The same is true for our loved ones who leave us far too soon. Your stories of love, care and share come from unknown sources long after our loved ones have passed. Things, little things and big things, always seem to find a way of falling into place. I believe this love, caring and sharing comes from above. We won’t know for certain what goes on up there until we’re there ourselves. What you Tom call God incidences, I too believe that so many of our challenges here on earth find resolve, initiated by our loved ones and God in Heaven. I too published a book after all my losses. When I needed an editor, one appeared. When I wondered how ever could I ever handle the challenge of publishing, I was introduced to someone who guided the way. As a skating coach, how could I ever step foot on the ice where my son died? Again, I received the support I so needed. As I lived the long journey of caregiving my parents prior to their deaths. Through it all, we survive because life is for the living. Thank you for sharing your story Tom. Blessings to you and your family for all that is good. This book Love, Care and Share came home with me from the National Home Show. Just goes to show things you need will find you in the strangest spots. I suspect this delightful book will touch many, many lives in positive ways at just the right moment. If you are hesitating to read this book, stop and listen to the voice telling you it has something to say to you, it probably does. The author shares his mother with us in the stories of this book Love, Care and Share. He continues her legacy and what she taught all of us. The book Love, Care and Share is more than a tribute. The layers of memories and testimonials are like a tapestry. Lots of moments reminding us to look up from our phones, make eye contact and help others. Margie was and is an angel touching every soul who reads this book. Love, Care and Share is a heartfelt book about a truly exceptional woman!! Margie was my aunt and she was truly an amazing, loving, giving woman. There was always room, always a place for you in her home and heart and this included her family as well. Tom is a wonderful son and loving soul. Tom writes from the his heart and it is truly an inspiring book that makes you believe in people and possibilities!! I am so proud of you Tom and I am sure your Mom is too. She is watching from above and has guided you to where you are today!! Keep looking for the signs…..
Who doesn’t know that feeling of loss and starting to appreciate our short life here on earth? I enjoyed the upbeat and thought provoking stories in Love, Care and Share about how Tom Herstad learned to make every day count. This beautifully written book Love, Care and Share is a treasure to all who read it. Margie’s generous and loving spirit is what brings life to all the experiences shared by the author and his family. May we all strive to be as loving as Margie and may her life lessons touch our hearts to do good always. Thank you Tom, for a memorable and enlightening book! This book is worth its weight in gold. Thank you for sharing Margie’s life. She blessed the world with her love and empathy and showed us that kind words and small gestures are all that is needed to change a person’s life. The book Love, Care and Share is full of hardship, love, kindness, and a passion for life. You will get caught up in her life from the first page and by the last page you will be working to change how you see the world and the people around you. Well worth the read. We imagine that there is a predictable path in life, yet there is no such thing. The author takes us through a devastating moment in time and we watch a family cope through loss. Many of the stories are poignant and are delivered with heartfelt passion. The author is most effective as he narrates his own story. There are Angles among us! This book Love, Care and Share truly inspires the spirit. I believe there are angels that have been put on this earth to help the rest of us… Margie Herstad was one of those chosen souls. This is a wonderful tribute to her selfless and generous life and the people she helped and inspired. A great read for those who are soul-searching. Tom Herstad’s Love, Care and Share is packed full of real life stories about his mother Margie, which will truly stir your heart and bring you to new levels of awareness. Every page teaches us how to love others, and ultimately will bring more love into your own life. For only through “Love, Care and Sharing” will we be able to eliminate war, famine and environmental destruction. I would recommend this book to all ages! Five Stars! This book had many different layers. From start to finish I felt very engaged , this book brought me many different emotions from laughing to crying , I would highly recommend this book to all ages . While reading Love, Care and Share I felt I gained an understanding of who the authors Mom truly was. I felt the connection the author had with his mother and you could tell she was an inspirational women. Love, Care and Share is a great read on the real meaning of life. It takes us back to what’s important and missing in today’s world. Stories that should inspire how we all have it in us to help do a little more for others. A very giving life. Love, Care and Share is a very insightful, inspirational and up lifting book. It gives hope and meaning to life’s everyday trials and tribulations. It reminds us to love, respect and listen to everyone, as we all have something to offer. Well written and truly engaging. Great job. A beautifully written story about a well lived life of a strong woman. Inspiring message. Thanks for sharing her story with the world. Your book brought back memories of your Mom and the hours we spent together. For these hours I was reading this book she lived again. It was written with lots of heart. Thank you so much. Bought this for my wife; her and my daughter rescue dogs and loved the stories…well done. When you’re in a bookclub, your reading time is not your own. But I have at last finished Love, Care and Share. Your mother was a remarkable presence. I envy you. No, I wouldn’t have traded my mother for anyone. But I knew her only as that, my/our mother – not as someone’s sweetheart, someone’s friend, sister, aunt, co-worker, as you have uncovered in this journey of yours. I was describing parts of the book to Paul which led to asking ourselves what clear advice did we get from our mothers? I could only come up with one: “Don’t get too familiar with the neighbors or they will be dropping by for tea at all hours and you’ll never get anything done.” I don’t remember this being a live threat growing up, so it must have originated with my Scottish grandmother. As an adult, I can admit to the downside on this one, but as a child, I thought: That makes sense. Just as my daughter did when I told her: “We can’t have a cat; it’ll lick the butter.” Thanks for presenting the opportunity to think about mothers and their messages. This book had a profound effect on me. So powerfully written, I found myself on a roller coaster of emotion. I could not put it down. Thank you so much for sharing your life with us, Tom. I have a couple copies of Love, Care and Share that are targeted for some important people in my life. Love, Care and Share is about just that! It is a lovingly written tribute/memoir by a son who learned to love, care and share by the impossible to miss life principles of his mother. For even though Margie Herstad, who inspired this story , did not always have the easiest life she did not allow those troublesome experiences to alter who she was at heart. She remained caring, always seeking and finding the good in everyone. She was an authentic encourager who believed in second chances for all! Acknowledging often that we are all works in progress. The writing is enlightening, inspiring and beautiful. I especially enjoyed the rays of sunshine that captures and portrays the fun family memories. The recurring butterfly them is awesome and one that so effectively demonstrates one of Margie’s “Godincidences”. Thank you for a truly heart – connection read and so openly sharing this poignant story! A book to read and reflect on over and over again! An incredible emotional journey. Love, Care and Share is captivating story telling with a deep love & respect for life. The author shares with us the stories of an amazing woman, Margie Herstad, as well as revealing his personal vulnerabilities & spiritual growth. I loved it & will recommend it to everyone I know. I cried and felt like I knew your Mom personally when reading this book! She has touched my life through your writing. Tom, Thank you so much for this book, I couldn’t put it down, I laughed, I cried and felt like I knew your Mom personally when reading this book. You brought back so many memories of my childhood and memories of my past good and bad that I reflected on. Dragonflies are my creatures that remind me of people that have passed and since living in the city I never saw dragon flies but in the last two weeks I’ve seen six! Thank you! I can’t wait for the next book. Love this book!! Hard to put down!! Full of wisdom and a reminder that we’re put on this earth to LOVE each other! Thank you Tom for sharing such intimate stories about your family and your own personal growth process! What a legacy Margie left! The book is truly inspirational!! A MUST read and of course, share!!! Tom Herstad’s loving memoir of his Mom, Margie is heartfelt and genuine. By the time you turn the last page, you will intimately know Margie, her heart and the Strength which sustains her. Her Manifesto, towards the end of the book is marvelous, deeply profound and transforming. We all need a “Margie” in our lives. Now, thanks to this book we can all embrace her! Excellent Read! – from start to finish. Could not put it down. Two thumbs up for Love, Care and Share by Tom Herstad. A must read, it’s about family and secret touch of unconditional LOVE, and WISDOM by a guardian angel. Very touching and inspirational. Tom, I received your book Love, Care and Share a few days ago and just finished reading it cover to cover. It has touched me deeply on so many levels. Thank you for writing it. It comes at a challenging time in my journey and I am most greatful to you & your Mom. I felt her energy throughout this read. What a beautiful soul who lives on wonderfully touching lives. The movie will profoundly change lives. I write this with tears streaming down my face – thank you for the Love, Care and Share. Will talk soon!! The book is outstanding – I could not put it down! I enjoy you because of your own efforts on this website. My aunt take interest in working on research and it’s obvious why. My partner and i know all regarding the compelling mode you deliver sensible secrets via your web blog and in addition encourage response from the others about this article plus our favorite daughter has been understanding a lot. Enjoy the remaining portion of the new year. You’re the one performing a first class job. Thank you for letting me in on such a personal journey. My mother, too, became a widow at 38, when my father passed away at 42. I felt the pain your family went through, and you, especially, because we were about the same age. I have learned many things from this book in order to heal – be better, do better, love more. Your family is an inspiration, your mother epitomizes the true meaning of empathy and compassion. This book is one of those gems, reminding us we are never alone. Paulo Coehlo said, “Tears are words that need to be written.” Thank you, Tom, for bringing this book to life. Thank you very much for your review Teresa. I love the quote! Not just a lovely and loving testament to the woman who was your mother, and a love of so many others who crossed her path, but this is a beautiful collection of stories that, over and over, soften and open my heart, move me deeply, to hear of how one woman kept prioritizing holding people in love, again and again … and of some of the profound ripples it created in the lives of others – yours, Tom & so many others. It left me soft-hearted and hopeful, with each story, that I chose to read in one or 2 story bites at a time & to savour the whole collection over more than a month now. Thanks for choosing to share, for so many reasons! Finished your book Tom. Actually read it cover to cover in one sitting. Once I started I couldn’t put it down. Well written and a wonderful tribute to your mom. I had the great pleasure of meeting and speaking with her a couple of times when Rick and I came home from Buffalo. I cannot recall what was said but I do remember being struck by how kind she was to both Rick and I.
I am sure she is very proud of you and Julie. Wow! What a lady. Just imagine if every family had one. Thank you so much for sharing this.